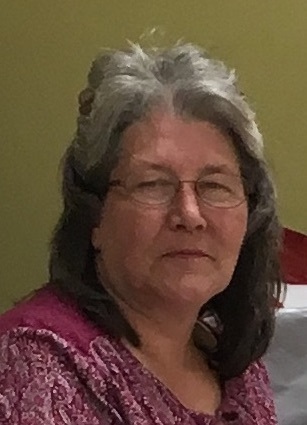 Cindy Mounce, age 51, of the Boat Dock Community and wife of Robert Mounce, passed from this life on Thursday, February 9, 2018 at her residence after a brief illness. Cindy was a loving, kind-hearted, and generous person. She married Robert Mounce on July 10, 2007 in Bronston, Kentucky. She enjoyed outdoor activities and classic muscle cars. Spending time with her family and friends, especially her grandchildren and dog Zoey, was one of her greatest joys. She spent many hours crocheting and reading. Her radiant smile and gallant spirit will leave a void in the lives of those she knew and touched. She leaves behind to cherish her precious memories her beloved husband, Robert Mounce of Somerset; a son David (Jessica) Duncan of Bronston, Kentucky; a brother Jason (Daniela) Moyer of Spartanburg, South Carolina; two sisters Tammy (Les) Klemple of Spring Hill, Florida and Becky (Taylor) Smith of Spartanburg, South Carolina; two grandchildren Braiden and Paisley Duncan; and many other relatives and friends. Visitation will be after 5:00 p.m. on Sunday, February 11, 2018 in the Chapel of Southern Oaks Funeral Home. The Funeral Service will be on Monday at 1:00 p.m. in the Funeral Home Chapel with Bro. Joe Altman officiating. Interment will be in the Prather-Yander Cemetery. Southern Oaks Funeral Home is entrusted with the arrangements for Mrs. Cynthia Mounce.